The dusty disk of the Milky Way contains billions of stars, including, of course our Sun which orbits the galaxy every 200-250 million years traveling at a velocity of about 155 miles per second (250 km/sec). It is extremely difficult to define the age of the Milky Way but the age of the oldest star in the Galaxy yet discovered, HE 1523-0901, is estimated to be about 13.2 billion years, nearly as old as the Universe itself. Recent work at Cardiff University suggests that our solar system's orbit through the Milky Way encounters regular speedbumps – and by "speedbumps" we mean "potentially extinction-causing asteroids". Professor William Napier and Dr Janaki Wickramasinghe have completed computer simulations of the motion of the Sun in our outer spiral-arm location in the Milky Way. These models reveal a regular oscillation through the central galactic plane, where the surrounding dust clouds are the densest. The solar system is a non-trivial object, so its gravitational effects set off a far-reaching planetoid-pinball machine which often ends with comets hurled into the intruding system. The sun is about 26,000 light-years from the center of the Milky Way Galaxy, which is about 80,000 to 120,000 light-years across (and less than 7,000 light-years thick). We are located on on one of its spiral arms, out towards the edge. Many of the ricocheted rocks collide with planets on their way through our system, including Earth. Impact craters recorded worldwide show correlations with the ~37 million year-cycle of these journeys through the galactic plane – including the vast impact craters thought to have put an end to the dinosaurs two cycles ago. Almost exactly two cycles ago, in fact. The figures show that we're very close to another danger zone, when the odds of asteroid impact on Earth go up by a factor of ten. Ten times a tiny chance might not seem like much, but when "Risk of Extinction" is on the table that single order of magnitude can look much more imposing. But you have to remember that ten times a very small number is still a very small number – and Earth has been struck by thousands of asteroids without any exciting extinction events. A rock doesn't just have to hit us, it has to be large enough to survive the truly fearsome forces that cause most to burn up on re-entry. Professors Medvedev and Melott of the University of Kansas have a different theory based on the same regular motion. 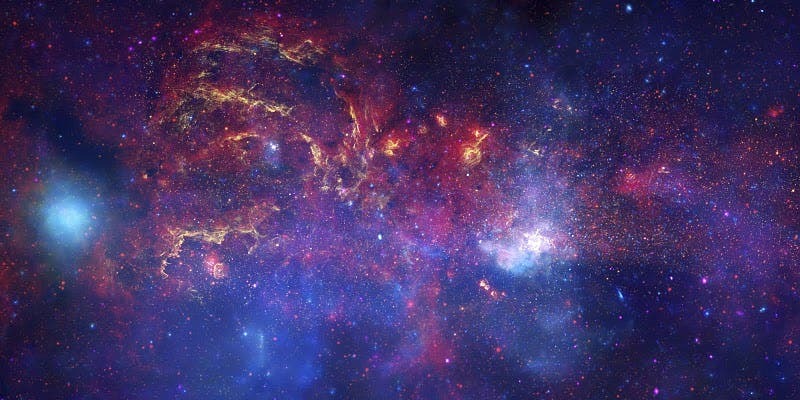 As the Sun ventures out "above" the galactic plane, it becomes increasingly exposed to the cosmic ray generating shock front that the Milky Way creates as it ploughs through space. As we get closer to this point of maximum exposure, leaving the shielding of the thick galactic disk behind, the Kansas researchers hold that the increasing radiation destroys many higher species, forcing another evolutionary epoch. This theory also matches in time with the dinosaur extinction.